Providing more avenues for skill development for the youth, Honda Motorcycle & Scooter India Pvt. Ltd. today entered into a Memorandum of Understanding (MoU) with Directorate of Training and Technical Education (DTTE). Under the MoU, Honda Skill Enhancement Centre has been established in Government Industrial Training Institute (ITI) Nandnagri, Delhi. The MoU signing ceremony took place in the august presence of Mr.Rajneesh Singh, Joint Director, Training & Technical Education, Govt. 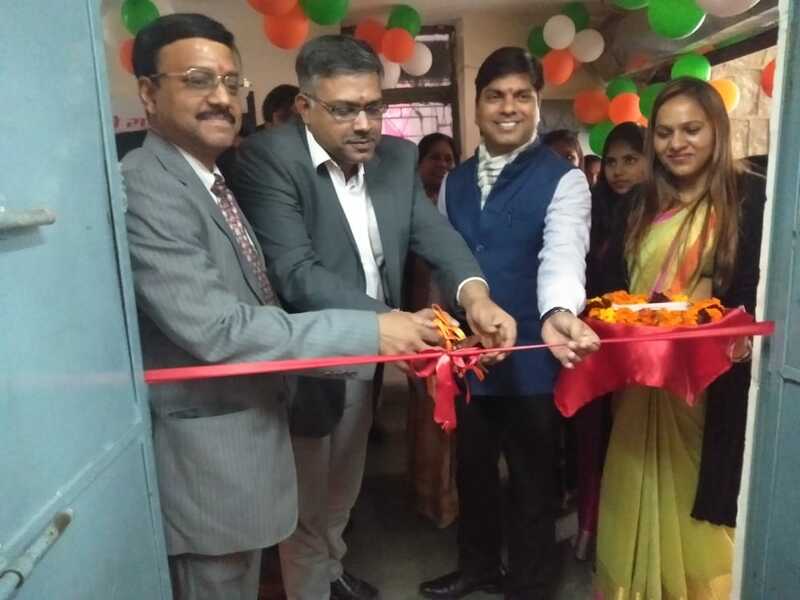 of NCT Delhi, Mr. Vimal Dimri, Deputy Director (Training), Training & Technical Education, Mr. Sharad Pradhan, CSR Department Head, HMSI & Mr. Saravjeet Chauhan, Regional Manager, North Region Customer Service, HMSI. ‘Honda Skill Enhancement Centre’ established in Govt. ITI will provide authentic platform to students for practising trade specific skills on various aspects of vehicle maintenance and repair. Making them future ready, the industrial training will be imparted to the students in fully functional service workshops set up by Honda. India is growing at a tremendous pace and this calls for next-gen skilled manpower to cater the dynamic automobile industry. Hence, Honda has taken up Skill Development drive to empower youth across the country. We aspire to make Honda Skill Enhancement Centres, the benchmark for institutes offering technical skills training in India. Our CSR efforts in this direction will go a long way to help youth realise the power of their dreams. Besides technical training, recruitment opportunities will also be provided to candidates at Honda manufacturing plants and dealerships on the completion of training. As a responsible corporate, Honda has taken several initiatives in the direction of Skill Development. In order to bridge the gap between requirement and availability of trained manpower in the automotive sector (specially looking at the BSVI launch in 2020), Honda is setting up Honda Skill Enhancement Centres across India. In just past 4 months, 11 Skill Enhancement Centres have already been set up at Rohtak & Gurugram (Haryana), Jaffarpur & Nandnagri (Delhi NCR), Bhopal (Madhya Pradesh), Chennai & Madurai (Tamil Nadu), Meerut (Uttar Pradesh), Kolkata (West Bengal), Hyderabad (Karnataka) and Bhilai (Chhattisgarh).